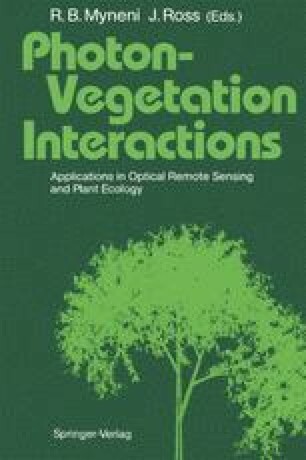 The previous chapters of this book described in detail several different mathematical models for describing the interactions of electromagnetic energy in the visible and near infrared regions of the spectrum with vegetation canopies. In these models a common set of equations known as radiative transfer equations were solved based on different analytical, numerical and/or stochastic methods to yield realistic solutions that describe properly the processes of absorption, reflectance, transmittance, and hence scattering of energy by vegetation elements (i.e., leaves, stems, etc. ), subject to a set of simplifying assumptions.